The 2019 Ford F-150 is a 6 passenger Automatic transmission, 2 Wheel Drive Standard Pickup Trucks or 4x4 Standard Pickup Trucks. It is available in 7 trim packages, the King Ranch, LARIAT, Limited, Platinum, Raptor, XL, and XLT. The new Ford F-150 invoice price ranges from $26,888 to $65,910, while MSRP ranges from $28,155 to $70,560. 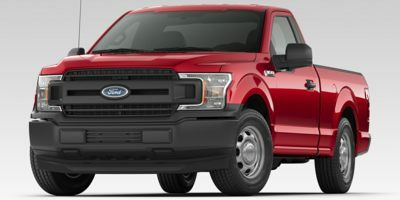 The 2019 Ford F-150 is available in 20 exterior colors, Abyss Gray Metallic, Agate Black Metallic, Blue Jeans Metallic, Ford Performance Blue Metallic, Green, Ingot Silver Metallic, Magma Red Metallic, Magnetic Metallic, Orange, Oxford White, Race Red, Royal Blue, Ruby Red Metallic Tinted Clearcoat, School Bus Yellow, Silver Spruce Metallic, Stone Gray Metallic, Velocity Blue Metallic, Vermillion Red, White Platinum Metallic Tri-Coat, and Yellow, and 8 interior colors, Black, Blue Accent, Camelback, Dark Earth Gray, Dark Marsala, Medium Earth Gray, Medium Light Camel, and Mesa.